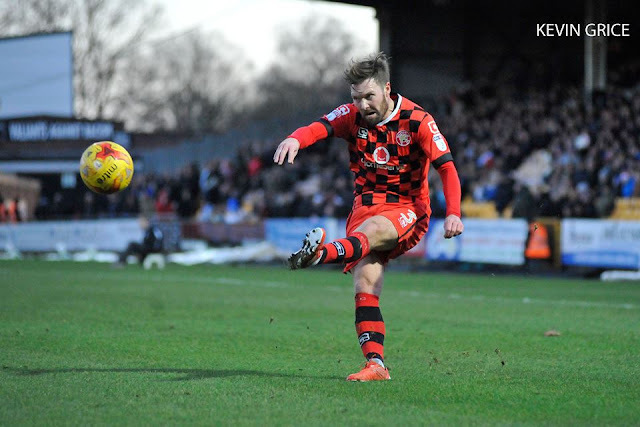 Former Walsall defender Scott Laird is set for a sensational return to Banks's Stadium as the 30-year-old Forest Green Rovers left-back is close to sealing a loan move which should see him link up with Dean Keates' side for the remainder of the 2018/19 campaign. Scott, who was part of the Scunthorpe United squad when he joined the Saddlers on loan in 2016/17, rose through the ranks at Plymouth Argyle to pen pro-terms in 2006. Laird has made almost five-hundred first-team appearances during a thirteen-year career which has seen him also turn out for the likes of Tiverton Town, Torquay United, Stevenage and Preston North End - where he made over three-hundred first-team appearances. Scott would likely arrive as a direct replacement for current first choice left-back Luke Leahy, who has become the focal point of plenty of fan angst during his time at the club, as manager Dean Keates looks to strengthen his backline ahead of an important period in the campaign.